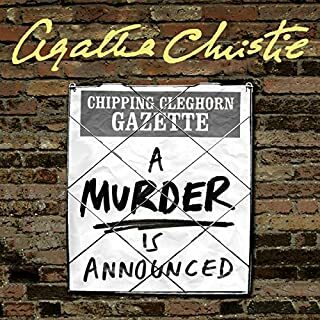 The villagers of Chipping Cleghorn are agog with curiosity over an advertisement in the local gazette which reads: "A murder is announced and will take place on Friday October 29th, at Little Paddocks at 6.30 p.m." A childish practical joke? Unable to resist the mysterious invitation, a crowd begins to gather at Little Paddocks at the appointed time when, without warning, the lights go out. You will, of course, recognise the voice of Joan Hickson as Miss Marple's voice from television. 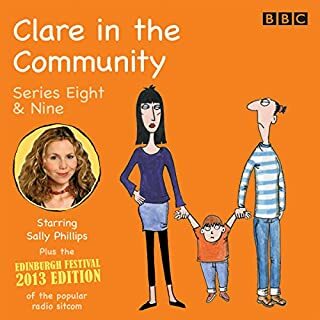 However, the other voices in this version of the audiobook are so similar to Miss Marple's voice that it made it impossible at times to work out who was saying what. I actually returned this item half way through because rather than being light entertainment while doing housework it was tiresome and not worth the price paid. Lyn Kelley, Ph.D., Certified Professional Coach with over 20 years experience in business coaching gives you the step-by-step method to become a corporate or business coach or consultant. Most importantly she shows you how to promote it, how to get in with big corporations, and how to maintain your professional ethics and integrity. Dr. Lyn shows mental health providers, coaches and human service providers how they can get rich in the Corporate Coaching boom! You can easily earn $250/hr to $2500/day with business and corporate coaching. Plus she gives you samples of contracts and letters you'll need. I'm sending back this book and asking for a refund because it is dreadful. If you know absolutely nothing about coaching then do yourself a favour and find another book. And if you know if know anything at all about coaching then you probably already know more than the author of this book. To add insult to injury the tone is patronising. 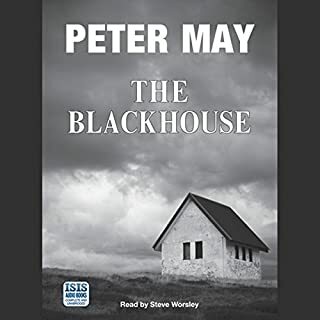 Would you consider the audio edition of The Blackhouse to be better than the print version? I haven't read the print version of this novel so I can't comment on any improvements or failings between the two formats. What other book might you compare The Blackhouse to, and why? In some senses the book compares to other detective stories based on the Western Isles, like those by Ann Cleeves. However, the novel is also a beautiful woven story which, for me, moves it out of the category of crime fiction to human interest fiction. The later works of Ian Rankin generate this kind of human interest at times and evoke strong senses of the geography and socio-economic context of the tale. What about Steve Worsley’s performance did you like? Generally the accents were done well. I really liked the main voice of the narration, which was gentle and rolling; I don't think anyone could take a disliking to it. I enjoyed this novel and it was thought provoking and evocative; my imagination enjoyed the experienced and I think the story will stay with me for some time. However, I didn't have a strong emotional response; although raising some controversial issues and dealing with moral challenges the writer did this with sensitivity and without sensationalizing or blowing a moral trumpet. Really good read and I'll return to this author again. What would have made Vigilante better? 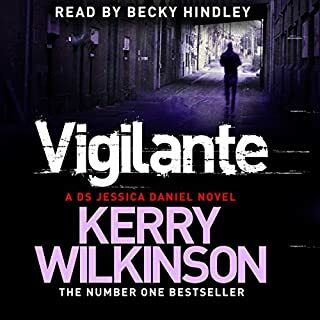 Like many others who have reviewed Kerry Wilkinson's novels I quite like the character Jessica and, again like other reviewers, I appreciate the banter between Jessica and other characters in the story. With the first book in the Jessica Daniels series I very quickly solved the puzzle and who did it, which is unusual for me. Moving on to book 2 in the series any sense of enjoyment derived from the characterisation became frustration and annoyance when, half way through the book, I realised that the plot was familiar. 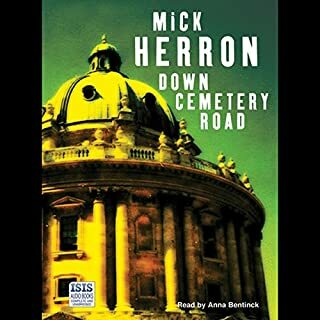 Given that there are so many crime novels in print/audio formats it must become challenging for writers to produce something original but what makes other crime novels better is twofold; firstly, the best selling crime writers do overwhelmingly produce stories that are original and, secondly, the very best of those writers, produce genuinely good fiction as well. Would you ever listen to anything by Kerry Wilkinson again? I wouldn't listen to another Kerry Wilkinson again. I gave the writer a chance by listening two novels and I was interested in his choice to self-publish. I believe the author now has a deal with a publisher but I can see why his submissions were rejected by agents; agents will be looking for original and good fiction, whatever the genre. These books/audios might sell well but so do red top newspapers; high volume sales don't necessarily equate to quality content. Overall, I am disappointed by the two books. There's a lot of hype and, at times, anger that some writers can't get published so self-publishing seems to be viewed as the underdogs fighting back against the establishment. I am not in a position to comment on whether or not other self-published authors are talented or fairly talentless but if I buy a book I want to buy something that will enrich my life; it's a bit like choosing not to eat from chain fast food outlets - just because millions of people do it that doesn't mean to say it's good. It is the Edinburgh Festival. People queuing for a lunchtime show witness a road-rage incident--an incident which changes the lives of everyone involved. Jackson Brodie, ex-army, ex-police, ex-private detective, is also an innocent bystander--until he becomes a suspect. 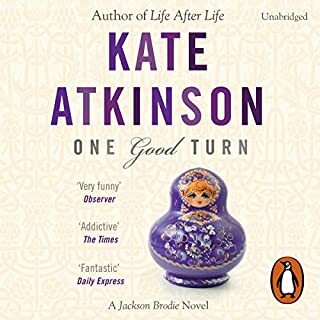 With Case Histories, Kate Atkinson showed how brilliantly she could explore the crime genre and make it her own. In One Good Turn, she takes her masterful plotting one step further. A good read, with some annoying elements! Story telling at its best: I was absorbed from the first paragraph until the end of this intriguing novel. Each character was brought to life through cleverly woven sub plots and the whole brought together with style and panache. A great read. Great plot and characters who are believable and credible. Tensions build after first hour of listening so stick with the audio book and you will be amply rewarded. The content is both informative and entertaining. 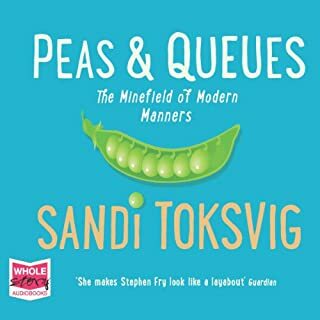 Read with all humour charm and exquisite timing one expects from Sandi. Great fun and something you can return to again and again. Someone, a woman or somebody pretending to be a woman, is writing to convicted rapists in prison, befriending them and then brutally killing them when they are released. DI Tom Thorne must discover the link between these killings and a murder/suicide that took place twenty-five years before; a tragedy to which the only witnesses were two small children, now adults and nowhere to be found. How can you escape a past that will do a lot more than just catch up with you? 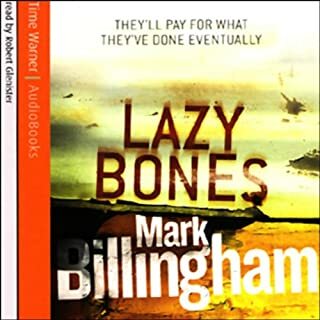 I have read some other books by Mark Billingham and enjoyed them all. However this novel was extremely disappointing. The plot was weak and it didn't take long to work out who was committing the murders and why. The incidental music was tacky and completely superfluous. 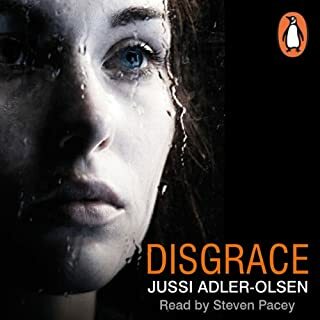 The narrator did well and his performance was by far the best element of this audiobook. The themes of the novel are dark but they have been handled with care and sensitivity. This gives the reader opportunities for insight without being left with a sense that the plot and the events were written simply to satisfy the author's needs. Too often I start to read a crime novel and then put the book down and leave it down because it feels like the writer has a need to purge to themselves or is writing purely to attract readers who are attracted to gratuitous violence. I was a little sceptical at first about some of the characterisation but as I read on the personalities rang as true. A really good read and I will look for more by this author.